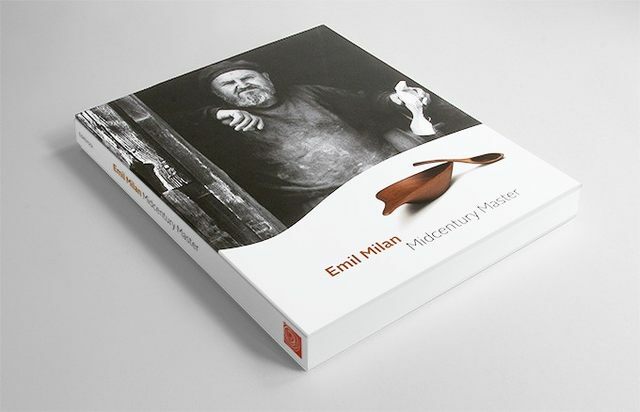 From the first exhibition Turned Object Show in 1981, which was documented in A Gallery of Turned Objects, to the major publication Emil Milan: Midcentury Master, the Center has maintained a commitment to the documentation of its programs and research. These efforts have taken shape in many forms, from books to digital media and online resources that are available to the public. All publications are available for sale in the Museum Store. 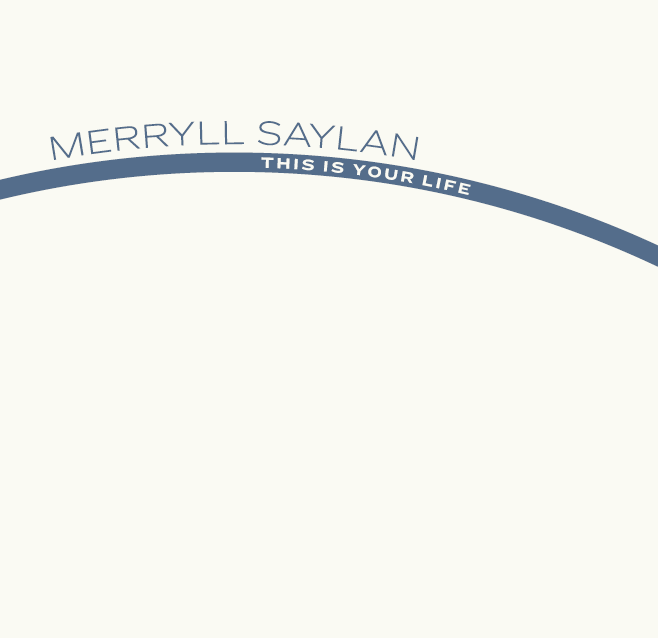 The Center for Art in Wood is pleased to present the work of renowned wood artist Merryll Saylan in an exhibition celebrating the timeline of her career. When she began turning in the 1970s, Saylan was one of few women in the craft field. While her contemporaries gravitated toward furniture-making and the use of exotic woods, Saylan— who came from a background in modern and contemporary design—focused on surface, using wood as a blank canvas for compositions in color and texture. Her experiments with stains, pigments, texture, and auto body finishes represented a new approach in the field, with connections to abstract painting. Note: this catalog is provided to the general public free of charge. Only shipping costs apply if ordered online. Connie Mississippi is known for the powerful and graceful turned-wood sculptures that position her among the important artists who have emerged through the contemporary wood-turning movement. Opening this spring in the Gerry Lenfest Gallery, this exhibition is an unusual form of retrospective, bringing together for the first time examples of her notable turned-wood sculptures, along with paintings, newer sculptures and original artist books that illuminate her more well-known work. Together these works make a larger whole, unified by the artist’s longstanding interests in dreams, nature, and spirituality. Major support for Connie Mississippi: Circle of Time is provided by the O’Boyle Family. 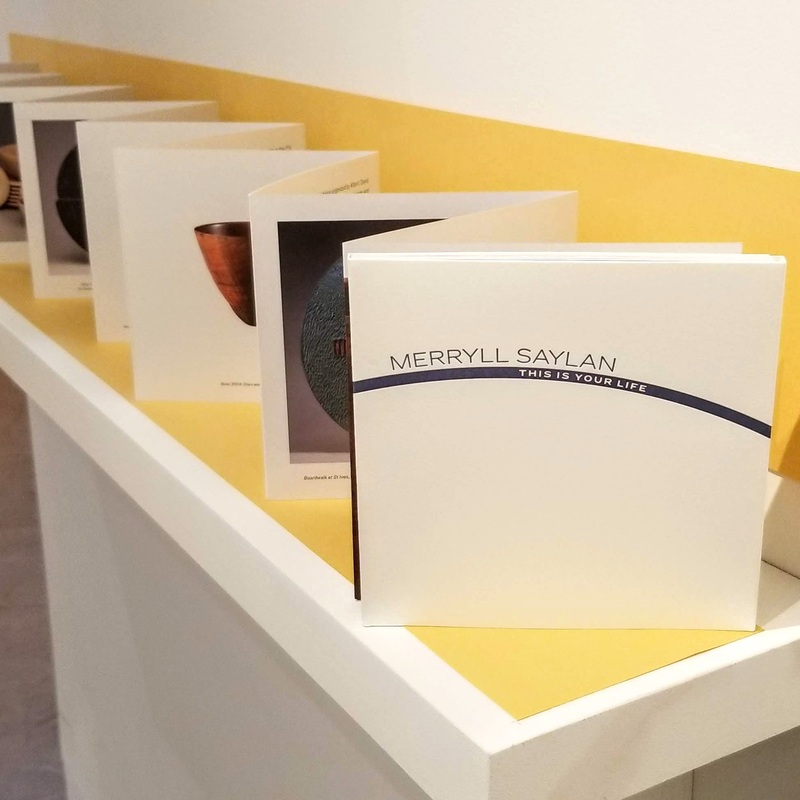 The exhibition program and documentation is generously supported by the Fleur Bresler Publication Fund and the Cambium Giving Society of The Center for Art in Wood, Pennsylvania Council on the Arts, Philadelphia Cultural Fund, and the Windgate Charitable Foundation. Corporate support is provided by American Kitchen Machinery, Inc., Boomerang, Inc., Penn State Industries and Signarama Center City. See Wood Carving Illustrated‘s review: click here. Two artists who use wood as a primary material, but whose work has emerged out of different traditions, set their work in conversation here. 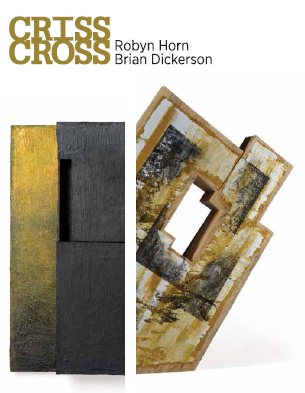 Both have created new work in response to the other’s approach for this exhibition. The Center, known for its new approaches to wood as a material for art, is the perfect venue for an exhibition juxtaposing the works of Robyn Horn and Brian Dickerson, whose work illuminates the intersections of texture and finish, paint versus natural surface, sculpture and painting, craft and fine art. 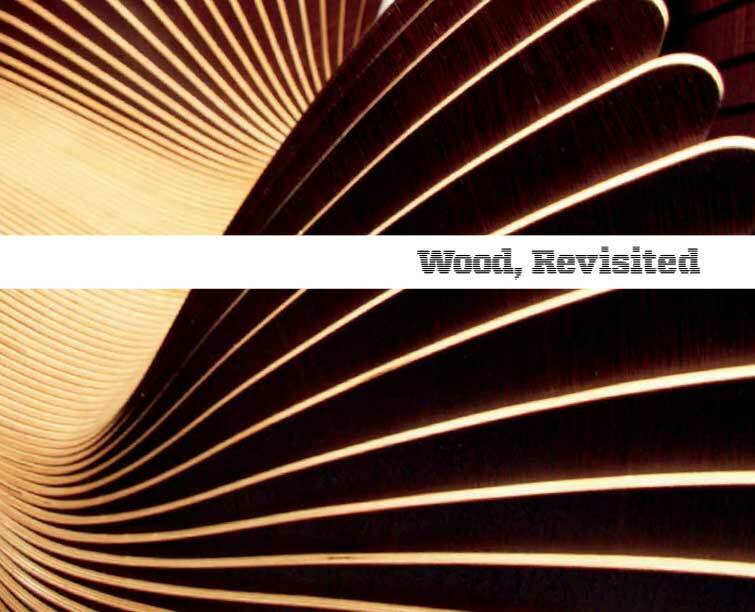 To commemorate Wood, Revisited, a beautiful, full-color catalogue is available for purchase. Hard Cover available, print-on-demand, at www.blurb.com. On the Edge of Your Seat: Chairs for the 21st Century, considers new designs in chairs, benches, and stools for the 21st century. 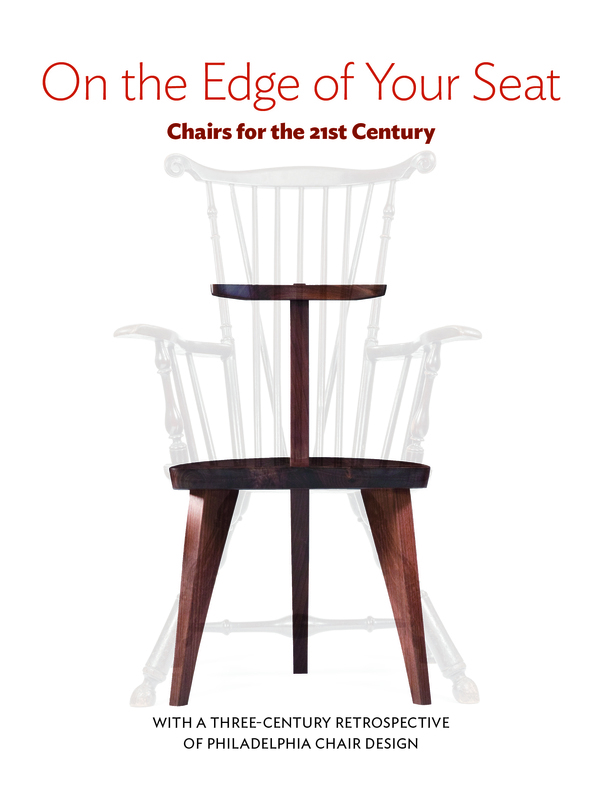 This volume includes the sculptural, conceptual, functional (and the occasional dysfunctional) seating, reflecting the dramatic evolution from the storied history of chairmaking in Philadelphia. 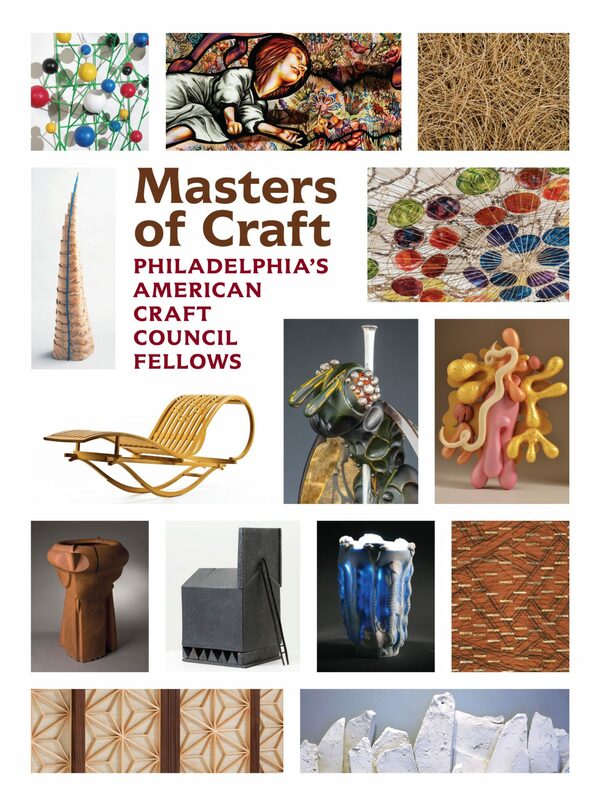 Masters of Craft brings forth the extraordinary accomplishments of 14 members of the American Craft Council’s College of Fellows. These artists – all from the Philadelphia region – continue centuries of craft tradition in their stunning work in wood, clay, glass, fiber and/or metal. It started as botanical sharing: In 1728 when he was 29 years old, John Bartram (1699–1777), a third generation Pennsylvania Quaker, bought an 102 acre site in thePhiladelphiaenvirons and developed it into an arboretum, Bartram’s Garden. He began sending seeds and plants to European botanists and collectors in wooden boxes. Bartram’s work has come full circle today, 286 years later. Artists from around the world, having studied Bartram’s life and those of his children who carried on Bartram’s legacy, have lifted creations from the devastation rent by a severe 2010 storm in Bartram’s Garden. 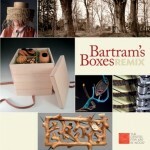 We now offer these works to an appreciative public as Bartram’s Boxes Remix. After the storm, The Center for Art in Wood joined with Bartram’s Garden to learn about John Bartram and his mission and offer artisans the opportunity to be inspired by his work and his methods. The 40 artists created diverse works that express Bartram’s voice and his dedication. Essayists put the works in context. 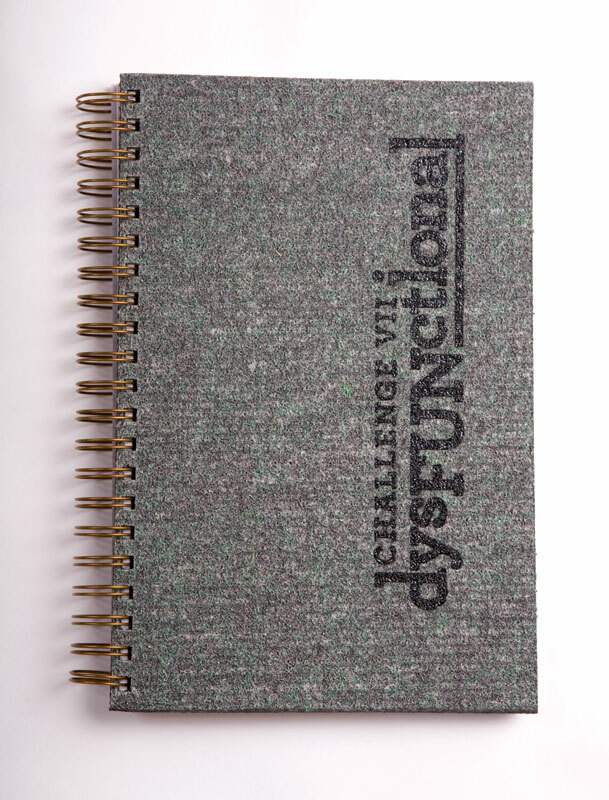 Their work is in these pages, the finished pieces and the processes they used to arrive at their goals. Illustrated in 248 photos are the applications of their imaginations and the results of their fine craftsmanship. 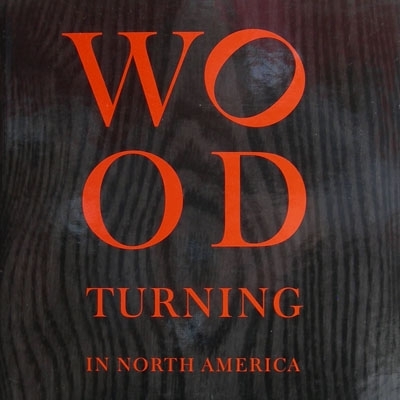 A limited-edition Portfolio publication, also titled Turning to Art in Wood, tells the fascinating story of “the creative journey” of The Center’s historic role in fostering worldwide recognition of the finest contemporary Art in Wood. Also available in Hardback edition. 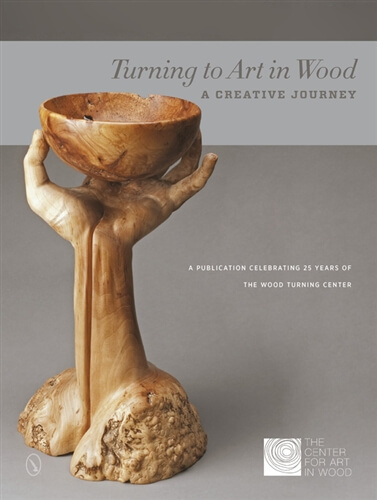 Turning to Art in Wood: A Creative Journey is published in celebration of the 25th anniversary of the renowned Wood Turning Center as it takes a new name “The Center for Art in Wood” and moves to an exciting new location among the art galleries in Old City Philadelphia. The book also documents the 25th anniversary exhibition showcasing over 100 works from The Center’s permanent collection. It also contains full color images of the complete museum collection of over 850 works of art. Curator: Gerard Brown. Essayists: Glenn Adamson, Elisabeth Agro, Gerard Brown, Richard T. Goldberg, Albert LeCoff, Robin Rice. Editor: Judson Randall. Photographer: John Carlano. NOW AVAILABLE FOR ORDER: Portfolio* and Standard editions of the first supplement edition. 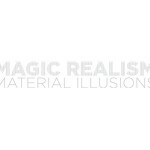 The Center’s publication documents “Magic Realism: Material Illusions” an exhibition conceived by independent curator Robin Rice, a member of The Center’s professional Exhibition Committee. This unusual exhibition presents the work of 18 artists who utilize wood, clay, glass, metal and other materials to embody their visions and illusions. Robin’s work on this exhibition was partially supported by an Individual Artist Fellowship grant from the Pennsylvania Council on the Arts. Curator: Robin Rice. Editor: Judson Randall. The exhibition catalog accompanied the exhibit of the same name creates visual dialogue between objects and videos that never were intended to be together. The work is persuasive in content, form, surface, and movement evoking humor, curiosity and suspicion. By “diss-ing” function, the artists turn the every day into delightful disuse. This publication was awarded the second prize in the American Association of Museums: 2009 Museum Publications Design Competition. Jurors: Cecil Baker, Marsha Moss, Richard Torchia, Ricardo Viera. Essayist: Robin Rice. Editor: Judson Randall. Photographer: John Carlano. Singularly and together, the artists in Wood Now demonstrate a meaningful and soulful exploration of woods creative potential. 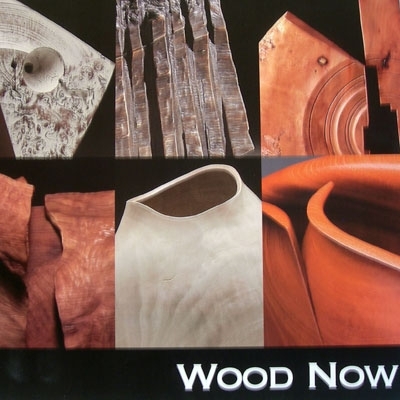 Wood Now reflects how wood artists Christian Burchard, Robyn Horn, Stoney Lamar, George Peterson, Michael Peterson, and Grant Vaughan have grown and how superbly they express their deepest thoughts and ideas through turning, carving and finishing. Catalog accompanied the 2004-2005 exhibition. Curator: Mark Leach. 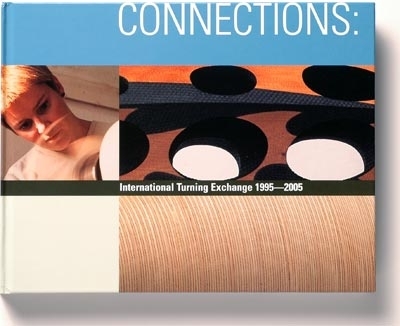 This exhibition catalog is a retrospective compilation covering ten years of the international residency program operated by the Center for Art in Wood. 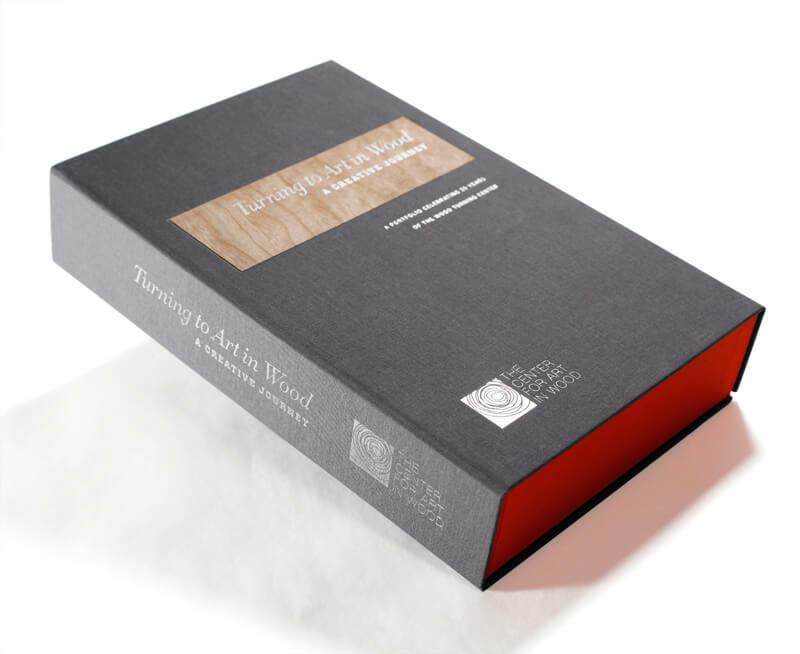 The book includes essays on the program, artistic contributions to the lathe-turning and wood art field from the artists, furniture makers, sculptors, photojournalists and scholars with representative artwork created by each resident. Bilingual: English and French. Curator: Glenn Adamson. Essayists: Robert Bell, Senior Curator, Decorative Arts and Design, National Gallery of Australia; Agnes Bruno, Curator/Director, Musee des Pays de L’Ain; Tanya Harrod; Terry Martin; Glenn Adamson; Judson Randall; Robin Rice; Albert LeCoff. Editor: Judson Randall. Photographer John Carlano. 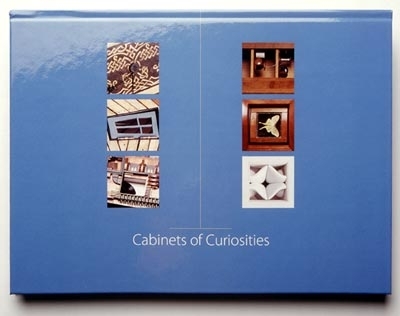 Expanding on the traditional division of labor between the artist who builds the cabinet and the collector who fills it, Cabinets of Curiosities creates productive dialogues between artists who, through the collaborative effort, become both the creators and collectors. Co-organized by the Furniture Society and The Center, this juried exhibition features 14 cabinets created by 50 interdisciplinary artists. 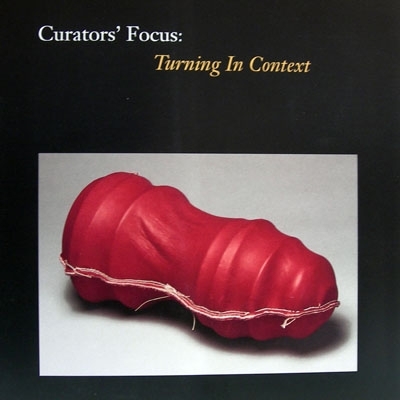 Curators and essayists: Diane Douglas, Ursula Ilse-Neuman, Brock Jobe, Tom Loeser, Rick Mastelli. Editor: Judson Randall. Photographer: John Carlano. 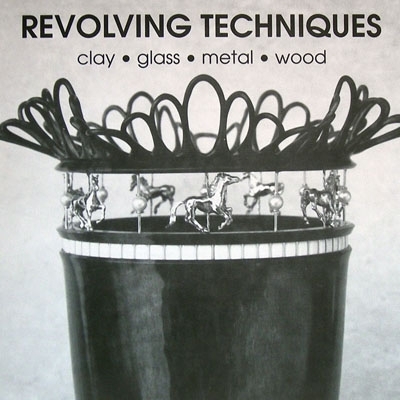 This publication traces the 20th century transformation of wood turning from a technical process considered ideal for manual training to a sophisticated art form concerned with aesthetics and personal expression. The exhibition and catalog were a collaborative effort between The Center, Yale University Art Gallery, and the Yale University Department of the History of Art. The 192-page book also includes 157 color illustrations with analytic captions of all 134 works in the exhibition, glossary, index, biographies of the 67 artists in the exhibition, an index of important exhibitions of wood turning and an extensive bibliography. NOTE: A special, signed edtion is now in stock as of November 2016. Also available in Hardback edition. 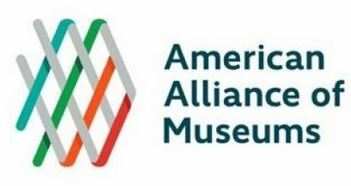 Curators: Glenn Adamson, Edward S. Cooke, Jr, Charles Hummel, Patricia Kane, Albert LeCoff. Essayists: Glenn Adamson, Edward S. Cooke, Patricia Kane, Albert LeCoff, Graeme P. Berlyn, Andrew D. Richardson. Photographer: John Carlano. Documenting the sixth international exhibition in the Center for Art in Woods Challenge series, this publication includes insightful essays as well as statements from all of the artists on the inspirations for the works exhibited. The 216-page book includes full-color photographs of all of the exhibition objects and their sources of inspiration. Curators and essayists: Michelle Holzapfel, Christopher D. Tyler. Essayist: Robin Rice. Editor: Judson Randall. Photographer: John Carlano. 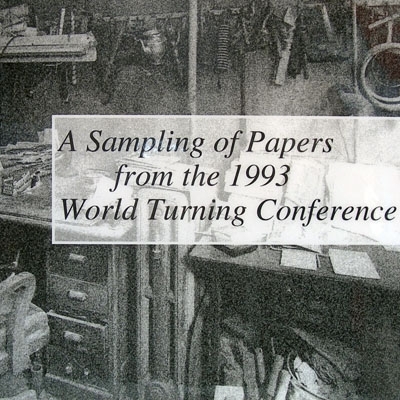 The 1997 World Turning Conference: Turning Towards the 21st Century brought together a group of scholars, historians, educators and artists to intensely evaluate the present state of lathe-turning (1997) and to discuss the future of the field. This collection contains 19 of the 28 presentations featured at the 1997 World Turning Conference. Papers are organized into the following categories: Origins, History/Artisans, International, Expression and Content, Women in Wood Turning, and Aesthetics/Criticism. 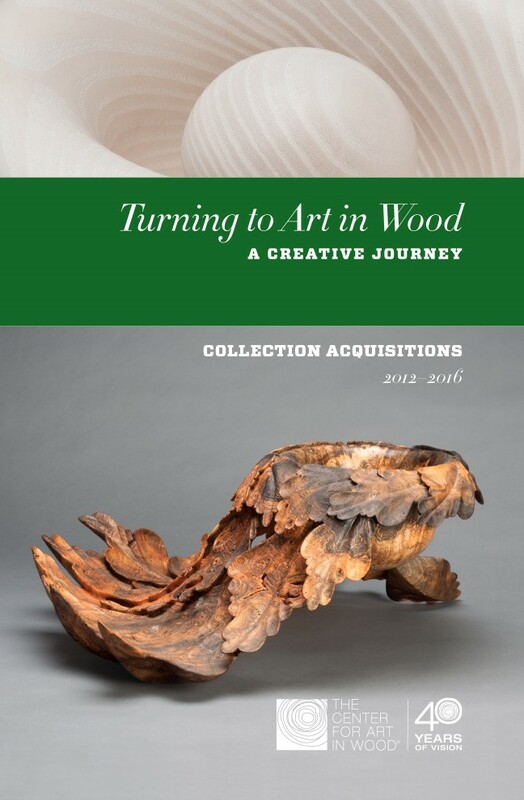 The first complete catalog of The Center for Art in Wood’s permanent collection. 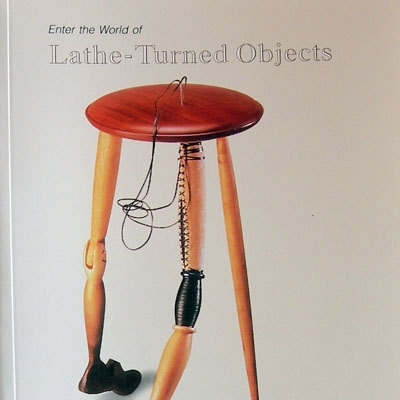 This 146-page, full-color book shows over 180 lathe-turned objects by over 100 international artists and includes descriptions of the objects and information about the artists. Editor: Judson Randall. Photographer: John Carlano. 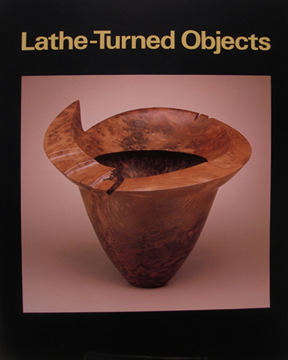 This beautifully designed exhibition catalog presents work in a variety of materials by selected contemporary lathe-turning artists from around the world. 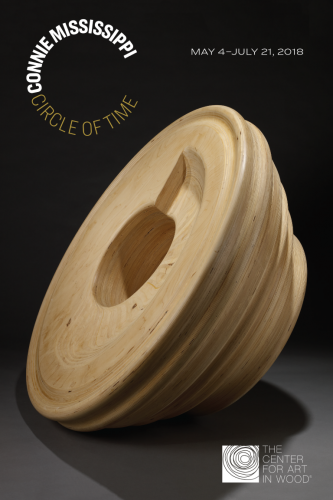 Organized by the Center for Art in Wood, the exhibition was curated around the four contexts of the physical, emotional, spiritual and intellectual as they relate to lathe turning. The 156-page book contains color photographs of the entire exhibition, along with artists’ statements and resumes. 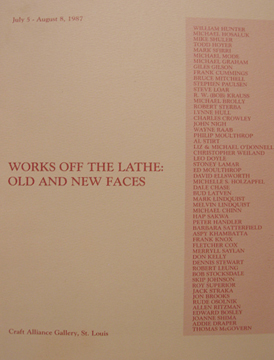 Also included are essays on aspects of the lathe-turning field by the four exhibition curators and three field experts. Curators and essayists: Mark Richard Leach, David McFadden, Bruce Metcalf Maria van Kesteren. Photographer: John Carlano. 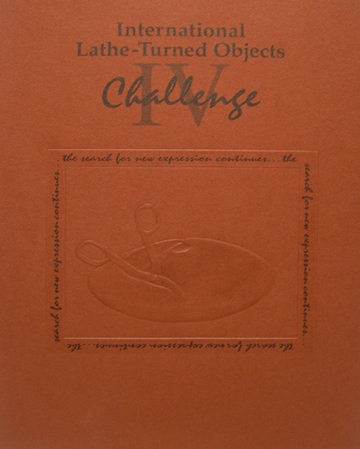 This catalog documents the fifth exhibition from the Challenge series. The series presents an exciting opportunity to the field of lathe-turning and the general public by illustrating how contemporary lathe turners take creative risks and voice personal aesthetic statements using the lathe. Curators and essayists: Michael Monroe, Davira Taragin. Essayists: William Daley, Albert LeCoff. 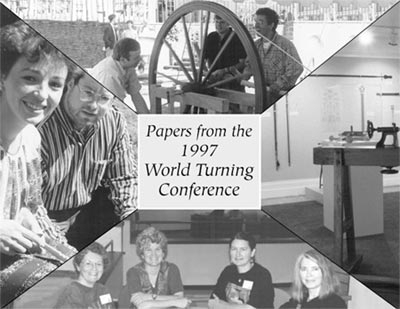 The first World Turning Conference brought together an extraordinary group of scholars, historians, educators and artists to intensely evaluate the present state of lathe-turning (1993) and to discuss the future of the field. 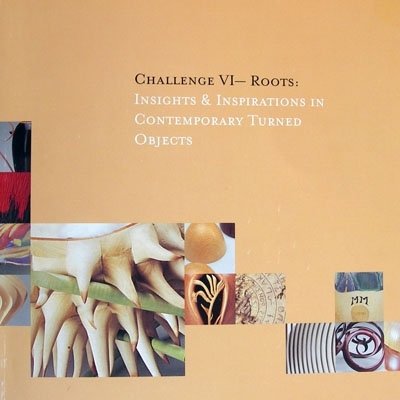 This collection contains 19 of the presentations featured at the 1993 World Turning Conference. Papers are organized into the following categories: Regional Styles, Style and Technique. Organized by The Center’s, and hosted by the Michener Museum, in Doylestown, PA, this exhibition highlighted artists and crafts persons working in a variety of mediums, but sharing one common technique: each worked with a material while it was revolving. Methods ranged from rolling materials by hand to using the potter’s wheel, revolving glass blow pipe, and/or metal and wood lathe. Curators and essayists: Diane M. Douglas, Mark Richard Leach. 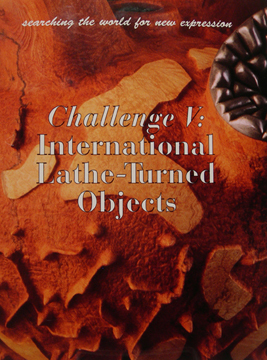 Catalog of lathe-turned wooden and mixed media sculptural pieces that were selected for The Center’s “Challenge IV” exhibition. Each artist is represented by a reproduction of their work and a statement in which they defined their own particular challenge in making the piece in the exhibition. Curators: Ned Cooke, Stephen Hogbin, Rudolf Staffel. July 8, 1989. Essayists: Michelle Holzapfel, Bruce Mitchell, James Prestini. This was the first international survey of lathe-turned objects to be shown in a museum and documented in a full color publication. The publication includes essays and artists’ bios and addresses. 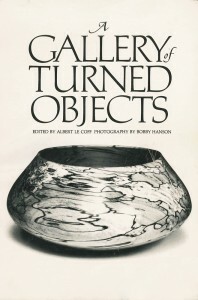 International Turned Objects Show (ITOS) at the Port of History Museum, Philadelphia, September 17-November 12, 1988. Invitational Section: David Ellsworth, Albert LeCoff, Rude Osolnik. Juried Section: Jonathan Fairbanks, Lloyd Herman, Rude Osolnik. Coordinating curator: Albert LeCoff. Photographer: Eric Mitchell. Editor: Eileen Silver. Exhibited at the Craft Alliance Gallery, St. Lois, MO. July 5- August 8, 1987. Curated by Albert LeCoff. Exhibited at the Craft Alliance Gallery, St. Lois, MO. July 10- August 15, 1988. Curated by Albert LeCoff. Coordinating curator: Albert LeCoff. Jurors: David Ellsworth, Rude Osolnik. Past symposia instructors were invited. Editor: Albert LeCoff. Photographer: Bobby Hanson.